This is an Appaloosa pony stallion. I drew this from a picture of a horse form the internet. 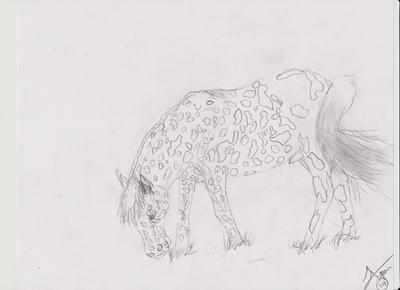 I'm a big fan of Appaloosa horses and ponies. I love them too! What a fun horse to draw.